At the University of Newcastle, we have a long-term vision to grow, develop knowledge and be a driver of our innovative regional economy. 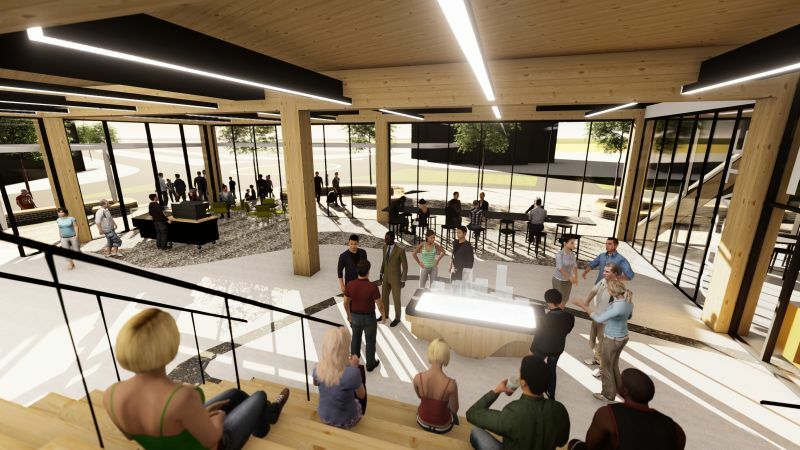 One core component of this is our Honeysuckle City Campus Development. 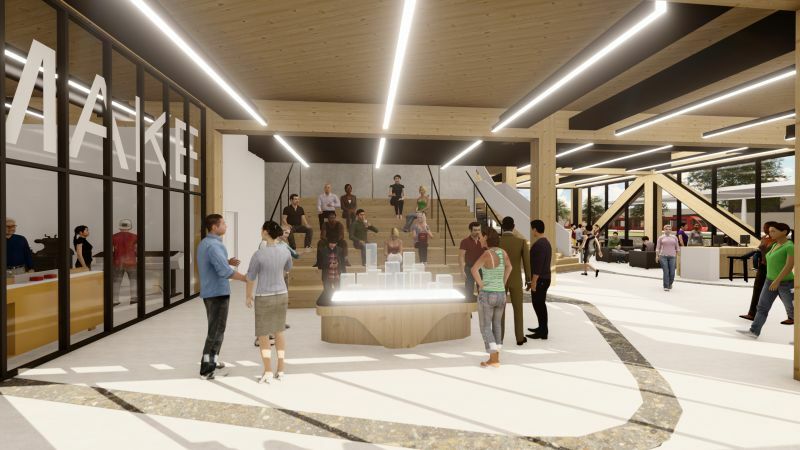 This exciting project will strengthen our presence in the Newcastle CBD, enhancing our positive civic, cultural and social impact in the region. In 2018, we released our Concept Master Plan for the Honeysuckle site. This plan, which will take upwards of 10 years to realise in full, proposes to deliver a mix of innovative research and education spaces, places to collaborate with industry and community, and accommodation for students to enjoy the best of living and working in the heart of the city. 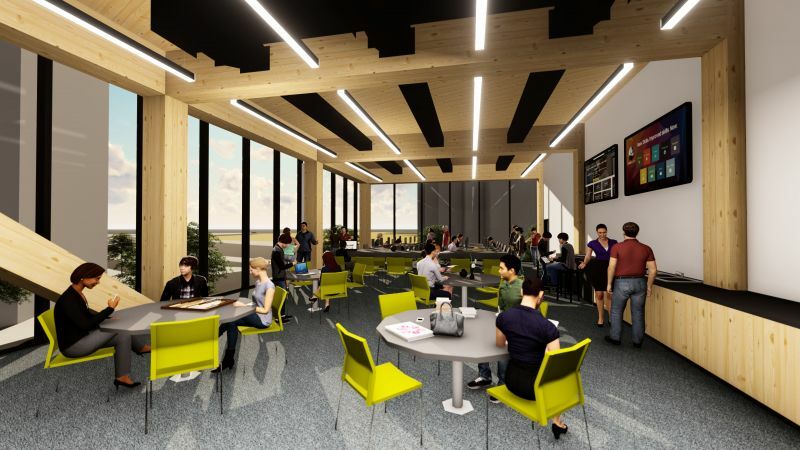 We are progressing plans in line with the Department of Planning and Environment’s statutory processes, and we’re committed to providing continual updates and consultation opportunities to our students, staff, partners and communities. 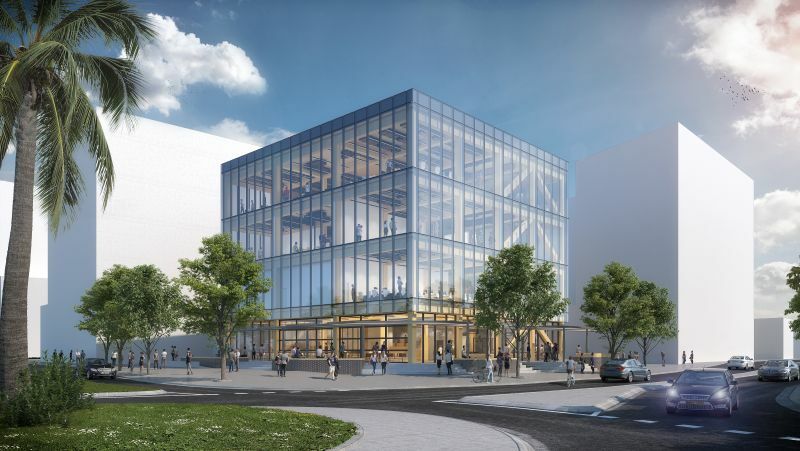 Our primary focus is delivering the first stage of the project (Stage 1A) – a building which will house an Innovation Hub and cutting-edge facilities for the School of Creative Industries. 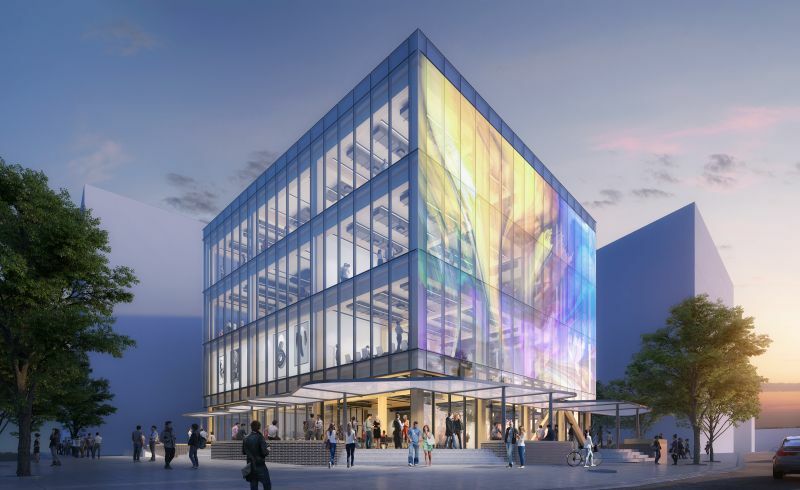 We are proud to reveal the design for the first building on the Honeysuckle City Campus Development. A ‘stage within the city’, this building serves much like a gallery – pared back and sleek to reveal the creators and innovators within. 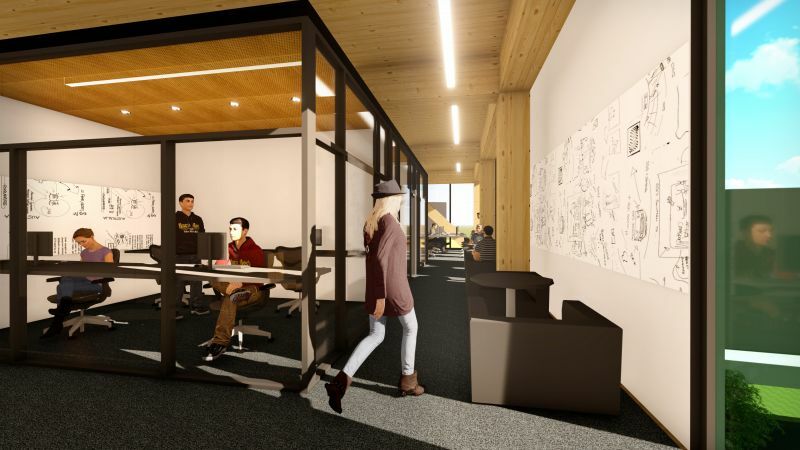 The building will house two groups set to benefit from colocation; the Hunter Innovation Project (HIP) Innovation Hub, and the School of Creative Industries. 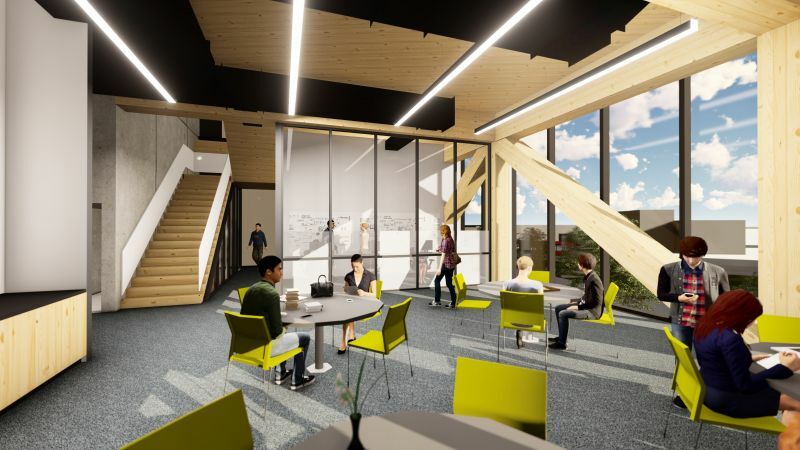 Brought together by the principles of creativity and entrepreneurship, the building’s residents will be inspired and empowered to make lasting contributions to the economic and cultural fabric of the region. The building will be situated on the corner of Worth Place and Honeysuckle Drive. Works are set to begin on the site within a matter of months, with the finalisation date set for late 2020, and teaching to commence from 2021. 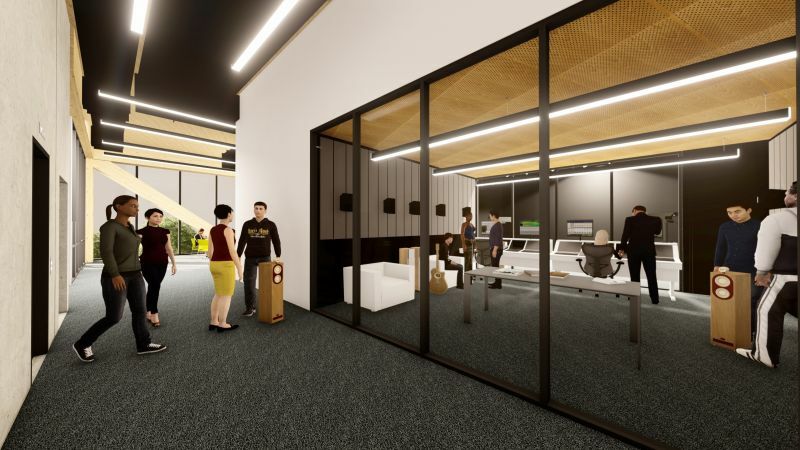 The partners have a collective vision to establish and nurture an innovation ecosystem in the Hunter region, and the Innovation Hub is one of three key HIP deliverables, along with Smart City infrastructure and the development of a Digital Precinct in the Newcastle CBD. 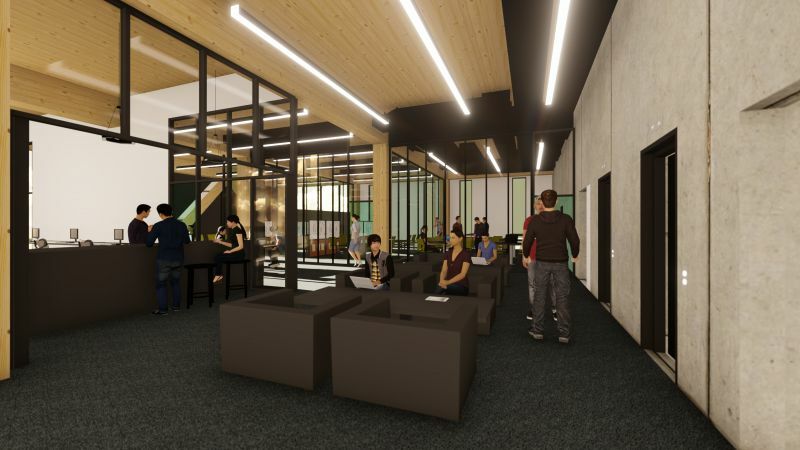 The University was awarded $4.84m in Restart NSW funds for the Innovation Hub, as part of the Hunter Infrastructure and Investment Fund. 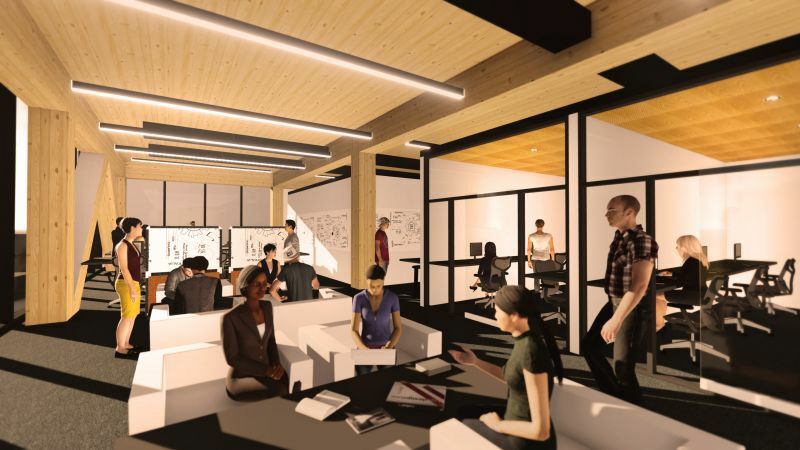 This Hub will be an important piece of infrastructure that will enable strong contributions to the transition of our regional economy while providing spaces for the students, staff and collaborators to generate ideas and products. The School of Creative Industries was formed in 2017 and is housed in NeW Space. It has positioned us as the education provider of choice for creative enterprises and artistic endeavours in the region, delivering the next generation of musicians, designers, writers and entrepreneurs. As our leadership in innovation and entrepreneurship has developed, we identified a need for further physical assets to support our creative output. The site is half way between the Honeysuckle and Civic Light Rail stops, benefitting from multiple public transport links. We are committed to a sustainable transport strategy, which promotes active and public transport. We do not anticipate that Stage 1A works will impact CBD transport services or parking. 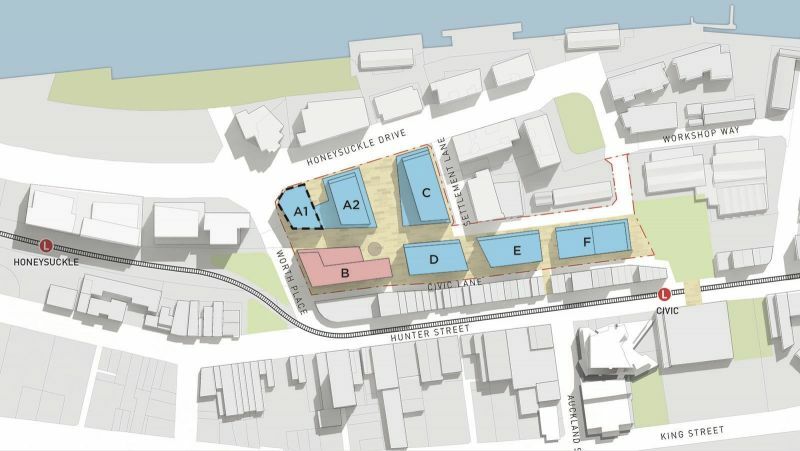 The Honeysuckle City Campus Development is subject to planning approvals from the NSW Department of Planning and Environment (DPE) and the City of Newcastle before works can commence on site. Determination for the Concept Plan SSDA (SSD 18_9262) is anticipated for Q1, 2019. Department of Planning and Environment places SSDA on public exhibition. Further community and stakeholder consultation.